A Punch Needle design by Notforgotten Farm. "Needleworker Pocket Ornaments", fun needlework themed pockets. 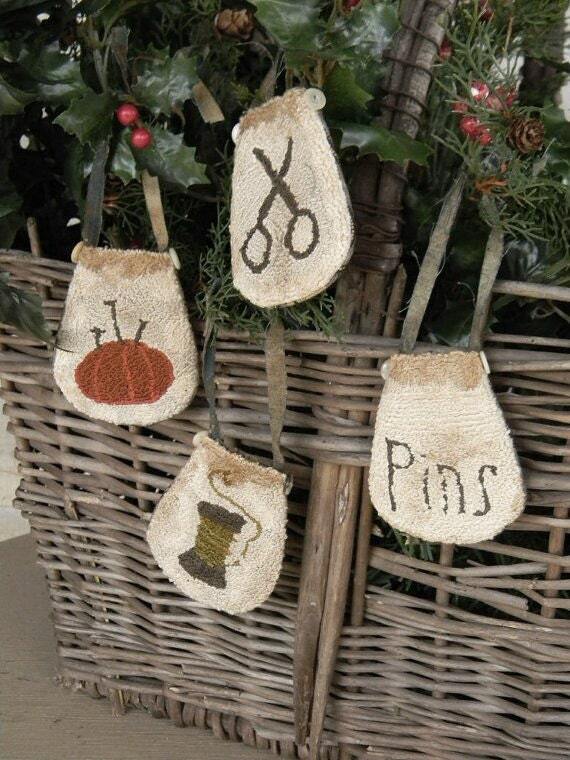 4 little pockets that you can hang on your tree or even tuck in a thimble or small token! Pattern Includes: one REUSABLE paper pattern, Color Photo, Floss List, Easy Instructions. Finished pockets will measure approx: 2 1/2" x 3".